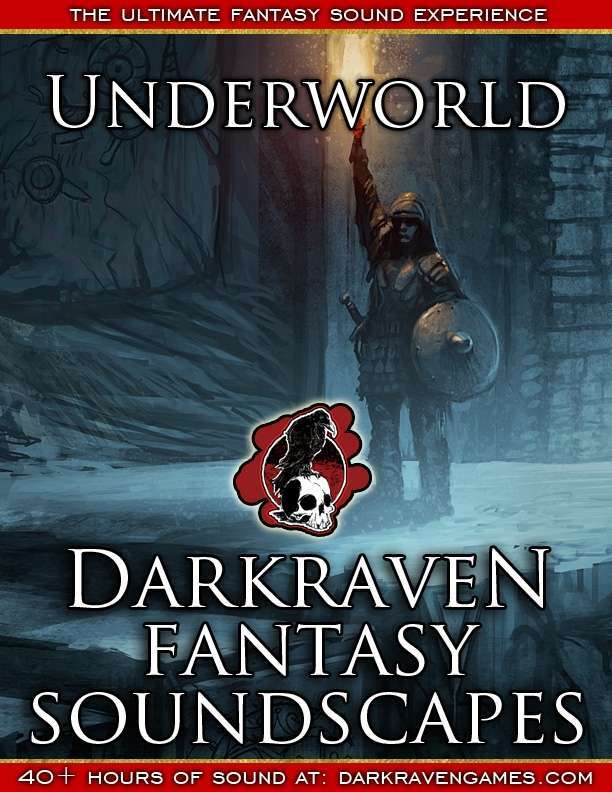 This single, 15 minute audio track soundscape puts your party inside of a dungeon and on the move. Occassionally, over the sound of your torches and boot steps, in the distance you can hear various sounds of activity. Created as part of an original Kickstarter with 225+ backers! 256kbps MP3. This is one track from the 70 track, 17+ hour Darkraven Colossus Edition Fantasy Soundscapes, which regularly sells for $79 ($69 at darkravengames.com).